Eid is around the corner, have you got your gifts sorted? If you haven’t I’ve got a great idea for you today. Nothing says ‘it’s from the heart’ like something home/handmade does, right? 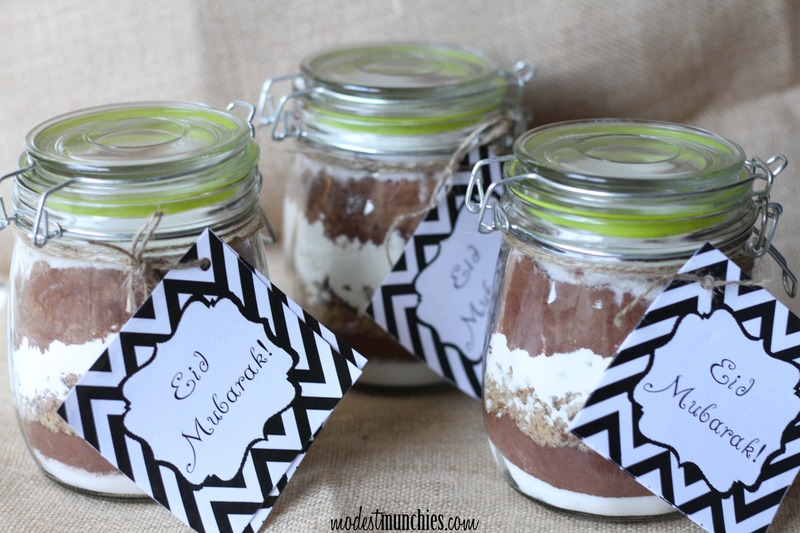 Well what do you think of these Brownie Mix Eid Gift Jars? 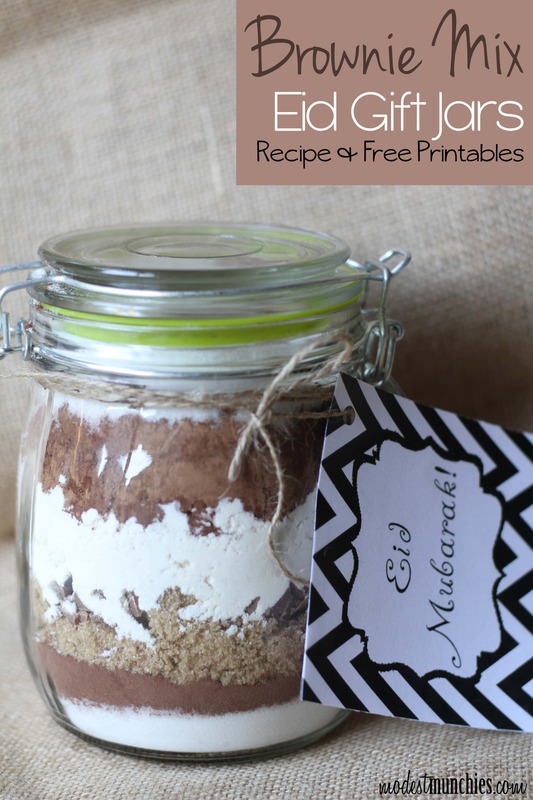 I’ve seen this idea around Pinterest and thought it would be the perfect Eid gift idea. You see, I need to tell you something, I’m not the biggest fan of boxed cake mixes. I don’t know why, I’ve just always preferred the joy of homemade and have never really liked the taste of them. It’s ok if you use boxed cake mix though, I know it totally makes life easier sometimes, I get it! NO judging. It’s just not for me. I also have some other motivation for creating these jars as my Eid Gift this year. I have a certain family member, I won’t mention any names, for some reason always makes boxed cake mixes. To curb this habit, I drop off freshly baked goods, I provide yummy homemade recipes, I offer to bake when needed, yet despite my efforts, they still find their way into her pantry. I’m starting to believe these boxes of cake mix have legs and just jump off the shelves into her trolley. So family member who shall remain nameless, this gift is for you and inspired by you. Who knows, maybe you’ll find some other handy homemade mixes coming your way. You can find the recipe to these brownies below. I just layered the ingredients into the jar. The chocolate or nuts is completely optional and these brownies don’t need them, but who doesn’t love a bit of crunch and chocolate? Preheat oven to 170c. Grease and line a 20cm square pan. Combine the dry ingredients with the melted butter. Beat your eggs and add this to the mixture as well. Mix until everything is combined. Throw in your chocolate chips or nuts if using them and fold through the mixture. Bake for 30 minutes or until the centre seems set. Cut into squares and enjoy! Adapted from Standby Brownies from Donna Hay. Like those tags? Yes, I made a printable, and yes, it’s free. Gosh I really need to start charging for these things. 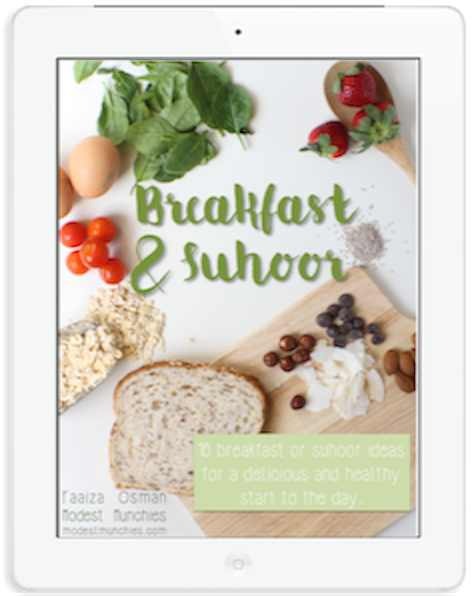 The printable comes in two parts the Eid Mubarak Tag and a second tag which includes the instructions for the brownie mix. I realise the brownie mix label is worded with metric measurements, I’m Australian, that’s what we use. If you want a printable with imperial measurements, let me know, I’ll see what I can do. I kept the two labels in separate printables so you can easily use the ‘Eid Mubarak’ tags on their own for any Eid Gift. 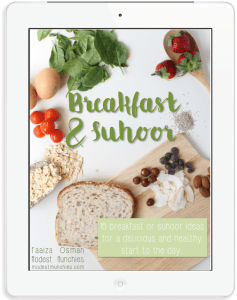 If you’re looking for a homemade/handmade kid’s gift idea, be sure to check out my Playdough for Eid gifts post. Boxed mixes=ewww. Mix in a jar=yum.